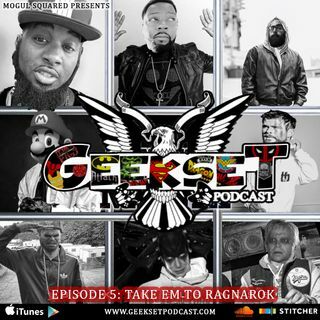 Listen up as the Geekset crew gives their review of Thor : Ragnarok and the current state of the Marvel Universe. They also discuss their most recent Milwaukee POP-Con trip and their encounter with Jackson Bostwick the original Shazam, Arvel Jones and the original Spiderman. Bacardi goes over what he's been gaming on and as always you'll get your TV Show reviews of Gotham, The Gifted, DB Super and more.